Great audio/visual productions need the best equipment to ensure a top quality shoot, and Bolt Productions is here to help. In the heart of Dallas, Bolt Productions offers latest Audio Visual Equipment rentals the industry has to offer – from production monitors to gimbals, viewfinders to tripods. Our experienced staff of video equipment technicians are here to offer expert advice for all your production needs and inquiries. Our full-service production services also offer studio rentals, set up and operation assistance, and same day rental orders. All Audio & Video Equipment rentals require insurance to protect not only our equipment, but also the renter. Compared to traditional film stock cameras, digital cinema cameras do not rely on film. They are more commonly used domestically and on independent productions. DSLRs and Mirrorless Cameras are the most common types, and thanks to advancing technology and rental houses, they are now more easily affordable than ever. For high-end video content, try the Canon EOS C300 Mark III or the Sony PXW-FS7 Super 35. 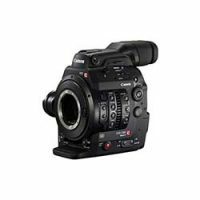 The Canon EOS C300 MK II allows 4K image data to be recorded internally onto CFast (2.0) cards. This makes it easy for users to record high quality compressed 4K images in the camera body without the need for external recorders. On the other hand, the Sony PXW-FS7 Super 35 boasts a wide color gamut and 14 stops of latitude. can be tailored to your shooting needs. With the included extras on our Base Kit, you will be up and running for your shoot quickly! Aside from the forefront of audio visual rental cameras, accessories such as monitors and transceivers are optimal for on-set communications and color correction. See beyond the restricted color and contrast of conventional monitoring, and enhance communication at your event production. 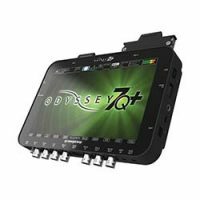 AV equipment like the Odyssey 7Q + monitor/recorder provides all of the features and functions needed for an accurate shoot, including touchscreen display with a 3400:1 contrast ratio, true blacks, and professional monitoring features such as waveform, histogram, vectorscope, and anamorphic de-squeeze, to name a few. Don’t leave out our go-to gimbals, stabilizers, and tripods, some of the hottest new tools in filmmaking! These must-have production equipment pieces provide stability and clarity to every shot, focusing on intuitive and synergistic designs. Paired alongside sliders, jibs, and dollies, our camera support items offer a wide variety of motions to create unique shots with minimal strain. Our favourite stabilizer in the shop is the DJI Ronin Gimbal. Featuring three different modes and a world of creative possibilities, the Ronin is a must try production equipment piece to rent. 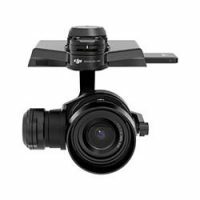 Supporting cameras up to 16 pounds, the gimbal system has a Bluetooth Wireless interface for setup and is compatible with iOS and Windows too! Looking for a simpler tool to meet both photography and videography needs? How about the Sachtler Video 18 S2 Fluid Head Tripod, an essential complete tripod system featuring a 100mm ball-leveling fluid head. It handles loads up to 44 lb while still operating smoothly at lower drag settings when using DSLRs and other lightweight cameras. Raw Camera Kits like the DJI Osmo are fairly new in the world of AV equipment, but are available for rent at Bolt! Featuring a spring loaded hinge to compensate for movement and a knob that regulates spring tension, the DJI Osmo Z-Axis will adapt to your movement and stabilize cameras with precision. The mechanical components require no extra battery, so you won’t have to worry about running out of power while shooting either. Like Cinema Cameras, Lenses are an iconic element of Audio/Visual Productions that offer a variety of perspectives and effects tailored to meet your needs. 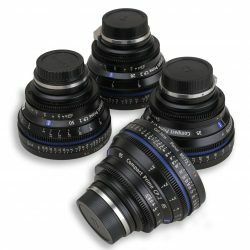 Mix and match lenses and cameras, or rent kits altogether. Check out our lens page for more details!